Can John Middleton Make the Phillies Champs Again? For decades, Phillies ownership remained mostly silent and unseen. Now, tobacco billionaire John Middleton has stepped up as the face of the franchise and the man calling the shots. Is the old-school organization ready for his hard-charging ways? By Robert Huber·	 5/15/2016, 5:59 a.m. Standing in the sanctuary of Bryn Mawr Presbyterian Church, where blue bloods go to worship, John Middleton begins to cry. He has just looked up at a stained-glass window near the back, a small purple triangle with his father’s initials, too small to really be visible. Something else in the window is clear, though: a red P, perhaps three inches high — the logo of the Philadelphia Phillies. John’s father, Herbert, bought 15 percent of the team in 1993, for $18 million. Herb didn’t get to enjoy his Phils for very long — he dropped dead of a heart attack in 1998. 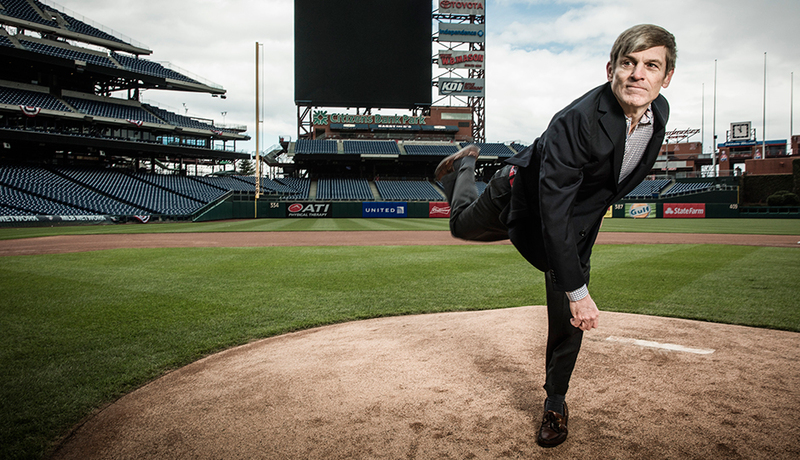 Over the years, John chipped away as other team owners wanted to sell their stakes, and now he owns just shy of a majority of the Phillies, about 48 percent. His share is worth better than half a billion dollars. But none of that has anything to do with why John tears up. This is where John, in the telling, loses it for a few moments, his voice breaking. “Yes,” he answered. Standing in the rear of his church’s sanctuary, John is quick to add that his father had a tender side as well, but that’s really beside the point, because John is reveling in the righteousness of his father’s demand, of just what that demand gave him. This is a strange moment — because of John’s utter earnestness, and the fact that it was 1974, when pretty much every other 18-year-old in America was throwing the cards up in the air and playing them from wherever they landed. On the way out, I ask John if he ever considered rebelling against his father. Really, his purpose in life, his focus on who he would become, isn’t strange at all. The Main Line spawned him. That world honored a certain drive, and here we are. Privacy and modesty and restraint are also important, and all are natural to John. But everything is different now. 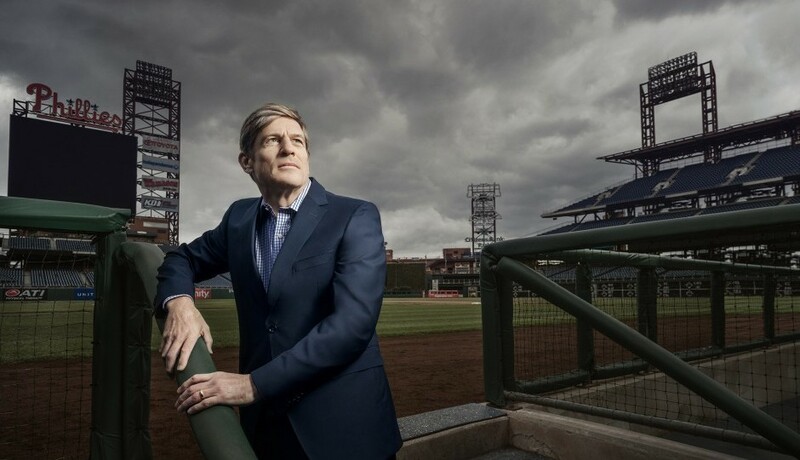 Quite suddenly, within the past few years, he has become both the face of Phillies ownership and a big-time philanthropist in Philadelphia, which means he’s sporting something else brand-new: a public persona. That’s why he’s standing in his church sanctuary, telling his story. It’s not natural. It makes him terribly anxious. Because this may be the first time in his life that John Middleton doesn’t know exactly what he’s doing. ONE OF THE ODD things about the way the Phillies have been run for the past 35 years or so is that we didn’t really know how they were being run. A big-league sports team is a unique hybrid, something of a public trust and a multibillion-dollar business. But not only were we kept in the dark on how the team made decisions; the owners were so private that we didn’t know who was at the controls. Often, it seemed nobody was. Ignorance breeds conjecture, of Phillies owners sitting on the Main Line counting their money. One of them, Claire Betz, owned a piece of the team because it afforded her a good parking spot to go see her beloved Eagles at the Vet. More to the point, none of them would ever say anything. The silence was infuriating. A few hints bubbled up in recent years that limited partner John Middleton really didn’t like the losing, but he kept quiet, too, and so Middleton got thrown in with the rest of them: a fat cat with a cigar business, which he took over from Herb and sold for $2.9 billion in 2007. The distance that ownership maintained from us didn’t matter during the team’s great five-year run starting in ’07, but when the Phillies fell apart, ending up with the worst record in baseball last year, we suddenly remembered: Oh, this is who they are. How foolish of us to believe that a few good seasons meant anything was really different. The Phillies have a certain history; they’ve lost more games than any other major American sports team, ever. Which immediately upped the ante on trying to figure out just what we have here in Middleton. For five generations, his family ran a local tobacco company, which started as a tiny shop in Philadelphia before the Civil War. They’d become a Main Line family to the core, and there’s no overstating the privacy thing, to the point that John’s primo seats behind home plate at the ballpark are just out of range of the camera that looks over the pitcher’s shoulder. The Middletons didn’t want to be on TV. Ever. But as his share in the Phillies has increased over the years, and as he became more and more frustrated with how the team was run, Middleton understood that he had to step forward, to become its public face. More to the point, the team had to have a public face, a front man holding the purse strings who would explain how it would get out of the current mess. There’s another reason to emerge from his enclaves in Bryn Mawr and Avalon. As John tells it, Leigh sat him down one morning in their kitchen, just after he had sold his company in 2007, and gave him this look she gets, the eye. He had made enough money, Leigh said. Everyone knew he was utterly capable, and the only reason to make more money would be to gratify his ego. So his path now was obvious. He would devote a major portion of his time to giving his money away. John quickly started thinking large. He would land on homelessness, joining with Sister Mary Scullion of Project HOME, which had lived hand-to-mouth for three decades. John gave $30 million to launch the organization toward a bigger agenda, one that would have a much better shot of happening, Sister Mary told him, if he went public with his giving. Then there’s a third, darker reason why Middleton has agreed to spend some 10 hours with me, talking about himself: He’s in an intense legal battle with his younger sister, Anna, over the family’s estate. John bought out her share in 2003 — about $219 million was split among Anna, John’s older sister Lucia and their mother. Then he sold his cigar company to Altria for that $2.9 billion four years later. In court briefs, Anna says that John duped her out of her rightful inheritance, accusing her brother of willful misconduct and fraud. In myriad legal filings, Middleton denies any wrongdoing. So John Middleton, private by nature and upbringing, now feels he needs to come out, to shape our idea of just who he is. And there is yet another reason why he’s nervous about his image. This one is simpler, and it becomes obvious when Leigh tells me the story of their first car, the one that blew up. “You coasted in,” John, a stickler for accuracy, corrects her. So she coasted in, and called John. She wanted a new car. He insisted that they get this one fixed. Finally, a year or so later, John went car-shopping. The Volvo dealership in Berwyn offered him $50 in trade, which incensed John. He drove to another dealership in Norristown. On the way, there was a terrific bang, followed by a cloud of steam emanating from under the hood. Leigh is in stitches now, because her husband had blown his chance at 50 bucks. This is, of course, the sort of story longtime couples tell about each other, in marking time and change. And to make the point, as Leigh does, that they are “local yokels.” Real people. That the silver spoons of their backgrounds were kept in the cupboard for a good part of their young-married lives. John and Leigh, now with two grown children (son John, a film and TV producer in California, and daughter Frances, who married last spring and lives in Delaware), really seem as if they sprang from an earlier era — 1957, say — and that’s exactly the point. The story of their courtship is both sweet and passé, though it is their story. In that light, the exploding Volvo seems a little … contrived. Not made-up, mind you, but disingenuous, because surely they knew as young marrieds what was coming. And what was coming is as plain as day to an observer, too, as John, now back at their Bryn Mawr home — the third house of his childhood, which he eventually bought — explains how the oak in adjoining panels of his dining room was cut to create rich mirror images of grain. And how the stains in a Revolutionary War flag behind glass on a stairway landing is blood from a soldier’s severed carotid artery. And how the flag strikes the perfect balance, in color and theme, opposite a renowned Charles Willson Peale portrait of George Washington. Now that’s more like it. Exploding Volvos in his past are cited to make him one of us, given that Middleton is determined not to come off as a rich, remote guy — as we’ve imagined all the owners of the Phillies for decades. But he is different. John Middleton is not only well-off; he has come to the place that was preordained. THOUGH IT MUST be part of his story that John didn’t get here without a fight, which brings him back, once again, to his father. The company that Altria would take off Middleton’s hands for almost $3 billion started as a tobacco shop on Dock Street. John’s great-great-grandfather emigrated from the Isle of Wight in 1856, and straight off the boat, he started knocking on doors, looking for work. A year later, he bought the shop where he got hired. John’s grandfather would expand it into three storefronts that sold cigars, pipes and cigarettes, and added the processing of pipe tobacco that was rolled into cigars. 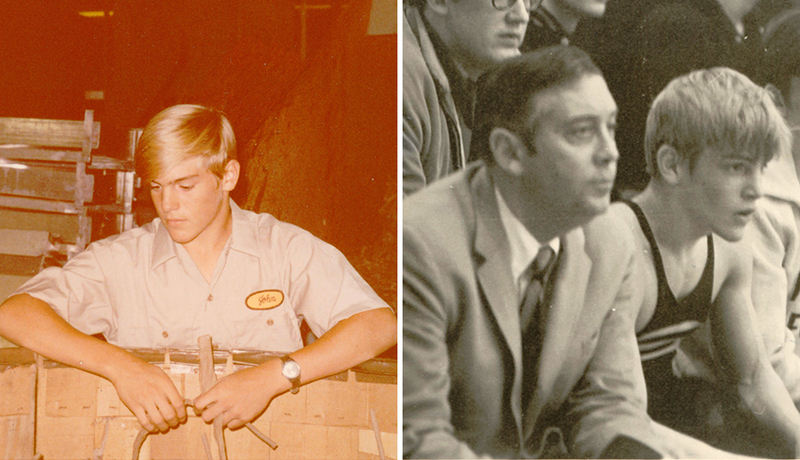 Once John finished Amherst and got his MBA at Harvard, he returned home, and Herb moved him up fast, putting John on the company’s board; the other two members were Herb and John’s mother. Eventually, it was clear to John that the company had to expand in a big way or it would die. He approached his father in 1986 about buying tobacco brands from R.J. Reynolds. “I’m not going to let you do this,” Herb told his son. Borrowing $25 million and making such a leap was unthinkable; he had never operated that way. “This isn’t your decision,” John told him. His father was 60 then, a year younger than John is now — Herb had had his run, and he was comfortable financially. “You have no right to determine my future,” John said. This was a moment of considerable risk, though John knew he wouldn’t exactly be fired. But his father could have been unmovable, and that’s the other thing John wants understood now: He would seize the moment, and no one would stop him from seizing it, including Herb. Especially Herb. Ah, facts. John loves facts. If there are facts to be garnered, he’ll get them. There’s great power in facts. The Middletons ended up buying four tobacco brands from R.J. Reynolds, which transformed the company from a guppy to a major player in the packaged-cigar business. Getting a piece of R.J. Reynolds — it was the step that would make buying into the Phillies feasible. RULY CARPENTER, the last majority owner of the Phillies, got close to his athletes back in the 1970s; he used to take Greg Luzinski and other players goose-hunting. He’d call the guys just to see how they were doing. But Ruly opted out in 1981, as player salaries were getting too exorbitant for his taste. Bill Giles, a baseball lifer whose father, Warren, had been president of the National League, put together a group to buy the team for $30 million, and Giles called Herb Middleton, whom he knew socially, to see if he wanted in. Herb said no — he wouldn’t have control, he told John. They had a chain of McIntosh Inns to invest in. Why would he spend $5 million not to have any control? 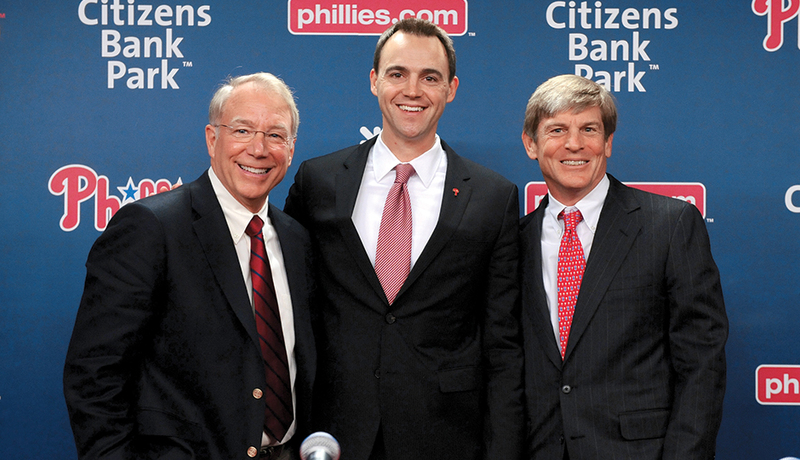 For putting the ownership deal together, Giles was given a 10 percent share of the team and ran it for the other owners; the era of the Phillies’ silent partners commenced. Giles was a natural showman, bringing Kiteman and Cannon Man and Kitemen II and III and other strange performers to the Vet. He also liked on-the-edge players. Lee Thomas, his general manager, says he got the go-ahead to build the ’93 team that went to the World Series — with Lenny Dykstra, John Kruk, Darren Daulton and Curt Schilling — because Giles loved their big, grubby personalities (and then overpaid them). But Giles tended to ignore the farm system, and for most of his tenure, the team was awful. In 1993, the opportunity again arose for the Middletons to buy in. Herb was more or less retired at this point, needed something to do, and now he couldn’t resist: a piece of the Phillies! Like his father, John is baseball-obsessed — he didn’t play beyond Little League but was the kind of kid who worried the team through the 1964 collapse at nine years old, pounding his glove at home. Herb and John pulled the trigger in ’93 — 15 percent of the team for $18 million — and John got heavily involved. The owners met four times a year, and the role as head of the board rotated among them, until it was John’s turn to preside. Nobody wanted to replace him; he was a dog with a rag. Fellow owner Michael Betz, who recently sold his 10 percent share to John and the Buck cousins, says Middleton was obsessed with changing the team’s direction. Nothing was too large or small, “including where we were buying chairs for the boardroom.” He calls John’s drive and ability to gather data “terrifying.” Betz means that as a compliment: “I remember my first aha! moment with John. We were sitting around the boardroom, and John said, ‘In order to analyze something, you need to be able to measure it.’ That’s quite a statement, if you look at it.” Middleton constantly cornered Betz with his complaints and ideas, about the business operation, the team itself, Giles, anything. “The team was run in an old-time-baseball style,” Betz says. “Scouts would stand around and talk about whether a batter’s hands dropped before he swung the bat. But I don’t think John had any answers. I don’t think anyone did.” The Phillies, after all, were the losingest sports franchise ever for a reason, a tanker that had been chugging in one direction for a long time. The biggest stumbling block was the terrible financial deal the team had with city over Veterans Stadium. And through that long losing period at the end of last century, the moribund owners made no cash calls to sign better players or revamp the farm system. The Middletons reportedly railed behind the scenes for Giles’s ouster, though John will only admit now to believing Giles had grown a bit old and tired by the mid-’90s. The board promoted Giles’s assistant, David Montgomery, to team president in 1997. There still seemed to be no answers. But a new stadium — now, that was something John could sink his teeth into. Herb died suddenly in ’98, as John had begun researching the effects that downtown ballparks had had in Baltimore, Denver and other cities. For a couple years, with Montgomery driving the effort, Center City remained in play as a site. Then something else happened, a bit of a godsend. Lee Thomas had hired Mike Arbuckle in 1992 to oversee the team’s scouting. He picked diminutive Jimmy Rollins in the second round in 1996, and later a strikeout-prone first baseman named Ryan Howard and pitcher Cole Hamels, who’d missed his sophomore year in high school with a broken arm. Those risks developed into stars. 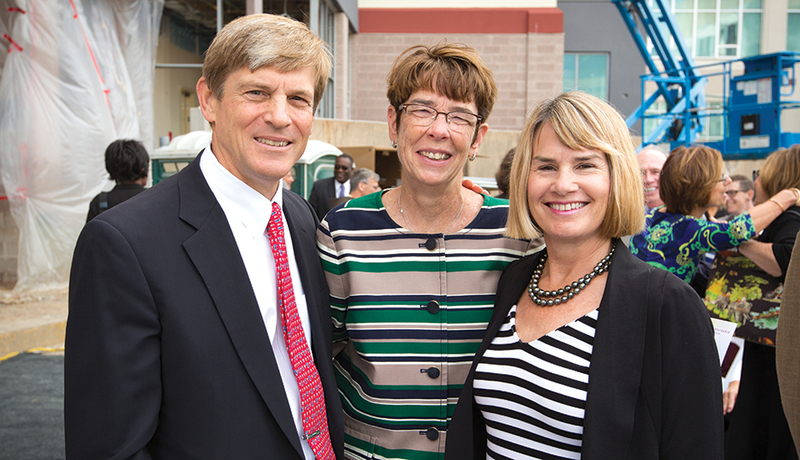 With them, and the new ballpark that opened in 2004, everything changed. For six years. The beginning of the end was the World Series of 2009. The Phillies lost to the Yankees, and after the sixth and deciding game, John Middleton went into the visitors’ locker room in the Bronx. Ryan Howard was sitting alone, his head down. In a red Phillies windbreaker and hat, Middleton knelt before him, and put his hand on Howard’s leg. Moments like that bubble up through Middleton’s tenure. 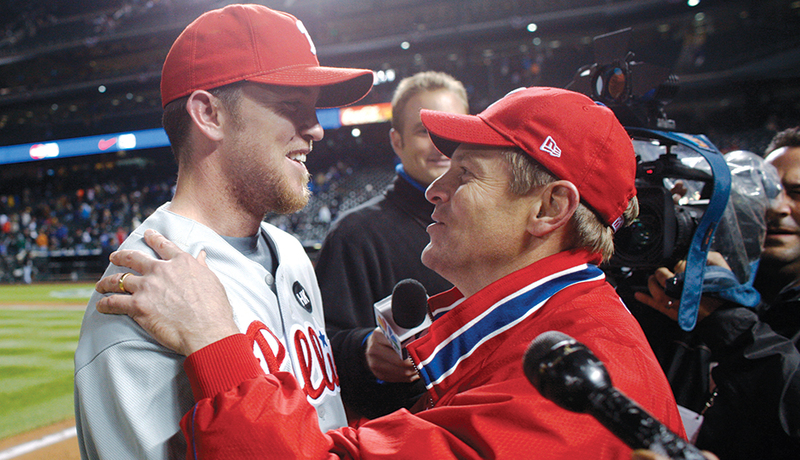 Phillies coach Larry Bowa remembers how, when he was manager 15 years ago, John wanted very badly to win. Betz refines that goal: “What he really wanted was a team, an organization, that runs like a top and is perpetual.” But the Phillies quickly reentered a bleak period, hamstrung by unshakable loyalty to their fading stars and longtime ways of doing things. There’s some nervousness among the Phillies rank and file over just what sort of hands-on boss he’ll be. Much has been made of whether Middleton was behind two changes in the past couple of years — the firing of G.M. Ruben Amaro, and David Montgomery losing the reins of the organization. Amaro’s ascension in ’08 smacked of what was wrong with Montgomery’s management style. Amaro’s father had played shortstop for the team in the ’60s, back when Penn college buddies Ed Rendell and Montgomery were going to games; Ruben had been a Phillies batboy, went to Penn Charter (Monty’s school), had played for the Phillies. His boss was Pat Gillick, who’d presided over the team’s best years. Gillick’s successor came down to Mike Arbuckle or Amaro, but, as Lee Thomas says, “I knew when Ruben came there [under Gillick], he was in line for something.” Amaro was just the sort of Phillies lifer Montgomery tended to fall in love with and hold onto forever. Arbuckle would go on to help Kansas City win a World Series. Amaro was fired by Andy MacPhail last summer and now coaches first base for the Red Sox. Middleton clearly wanted him gone. Montgomery’s demotion — he now represents the team in league matters and in the community — is trickier to parse. He got jaw cancer in 2014, just as Middleton’s frustration with his management was ratcheting up, and as he was pushing into his late 60s. Montgomery’s friend Mike Tollin, a sports filmmaker who grew up in Havertown, calls the demotion a “bloodless coup.” It was handled with kid gloves, and Middleton is careful now to praise Montgomery for his great warmth and service to the team. But the real answer to what had to happen lies in an order of priorities. In Montgomery’s office in Clearwater in late March, I ask him which is more important: an organization where loyalty reigns supreme, including to the players who brought the team a championship, or winning. Montgomery answers by raising his hands from his desk to hold them flat before me at the same level: One hand represents loyalty, the other winning. They bob in tandem. Neither is superior. The push to win — it’s all of a piece for Middleton. That’s why, when he harks back to a high-school wrestling match that took place half a century ago, he is moved to tears — not because he lost. Quite the opposite, in fact. In trying his very best, he did everything he possibly could. He passed the ultimate test. John Middleton can’t help himself — this is who he is. With that, his story has landed. THERE IS ONE last issue for him to explain, a problem: Anna Nupson, Middleton’s younger sister, holed up on a ranch in New Mexico, lobbing grenades via a lawsuit and some pointed words for the press when she was talking. 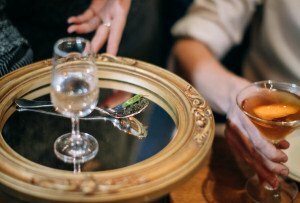 When John, who’d been appointed by his father to be Anna’s trustee, bought out her shares of the family holdings in 2003, she had a serious drinking problem. She told the Inquirer last year that until she got sober, she drank a half gallon of vodka on her worst days, and she once weighed 400 pounds. Her access to family money was monitored over the years — in 2001, for example, she could only receive her quarterly check of $250,000 from a trust if she saw a psychiatrist and took Celexa, an antidepressant. Anna said last year that she had been sober for eight years. She receives more than $2 million a year via the agreements she signed, but “a gilded cage is still a cage.” Anna wants much more than that, including a piece of the Phillies, and she claims her brother has committed fraud in not allowing her to have her fair share of the family fortune. Jimmy Rollins, shortstop extraordinaire when the Phillies were good, once said Middleton might become “George Steinbrenner South.” Steinbrenner, of course, was the Yankees’ longtime owner, the man who spent and dictated and fired managers with only one end in mind — for George Steinbrenner’s team to win. The comparison amuses Middleton. “I would like to win multiple championships like George,” he says. The rest of it, especially the constant public posturing and controversy — no. All of that opposes every lesson of his background. He’ll spend on players — with a TV deal with Comcast kicking in, worth maybe $5 billion over 25 years, there’s gobs of money. But he’s no meddling George: At the press conference announcing MacPhail’s hiring, Middleton said of ownership, “You don’t want us making baseball decisions, trust me.” His style is to find the right decision-makers and demand that they go at their jobs as he would. In the way that, in fact, he goes at everything. On a cloudy morning at Citizens Bank Park in early April, a few days before the Phillies’ home opener, John is having his picture taken. His handlers rejected any shots from the pitcher’s mound even before he got to the ballpark — something about those photos being out of character. He’d appear too large, or controlling, as if the team were all his. Mid-shoot, he ignores their edict. He picks up a baseball, goes to the mound, and starts throwing, his sport coat flailing. Fastball after fastball, maybe 25 in all. He’s wild. All the years of wrestling ruined his shoulders, and his throws bounce off the brick wall behind home plate. But he keeps coming, wide and high. For a moment, he seems possessed, all alone, going after something. As if handlers and a reporter or anyone else don’t exist. As if John Middleton can’t help himself. Published as “Out of the Shadows” in Philadelphia magazine.